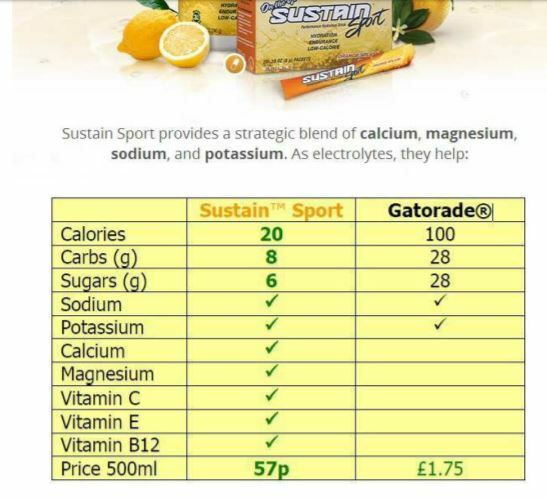 Are all sports drinks equal? When you add a sachet of Sustain to a 500ml bottle of water you make a drink that includes Sodium, Calcium, Magnesium and Potassium and simply combines into an innovative 4-in- 1 complex that transforms ordinary water into serious performance hydration. When is Pure Water Not Enough? Normally there is nothing better than plenty of pure, natural water to give your body the hydration it needs. But water isn’t always able, under some conditions, to properly hydrate your body. Perspiration Drains You of Electrolytes! An hour of intense exercise can cause you to lose over 2 litres of more than just water. As you perspire you lose electrolytes as well. The first warning signs may be only sapped energy or a mild headache, but if you lose too much sodium and other electrolytes and fail to replace them, you could eventually suffer a total collapse of bodily functions. You may have watched the Brownlee Brothers …. Drinking water alone cannot replace the electrolytes. In fact, if you have been perspiring, drinking water without electrolytes is potentially dangerous. Why Water Alone is Not Enough. In 1965 a University assistant football coach wanted to find a way to help his team perform better in the summer heat, so he asked the school’s medical research department for advice. He learned that players were sweating out more than water on the football field. Their bodies were being drained of electrolytes as well – essential ionic minerals that water alone cannot provide. Given that information, a new kind of beverage – Gatorade® – was born. Athletes all over the world immediately began using sports drinks that were infused with electrolytes. Several brands are now marketed (like Lucozade Sport). But our scientists, working with experts in the field of hydration and electrolyte balance, learned that the standard brands are lacking in several ways. Most only provide 2 electrolyte minerals, but research revealed the need for much more. The popular formulas are also loaded with excessive calories from processed sugars, and often lack key vitamins that both improve endurance during exercise and provide faster recovery after exercise. With the help of extensive research and some very bright people, the ultimate sports drink, Sustain™ Sport, was developed. 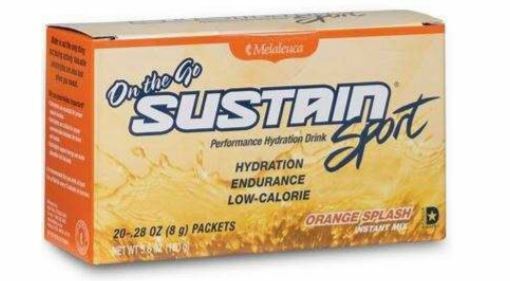 With a more advanced formula than Gatorade®, but with less sugar and fewer calories, Sustain™ Sport quickly became one of Melaleuca’s most popular products. • At 5% loss, you are in danger of heat exhaustion. • At 10%, you risk heat stroke, total collapse … and, perhaps more. You may not know it but neurological system runs on electricity. That’s right, you are an electrical being. 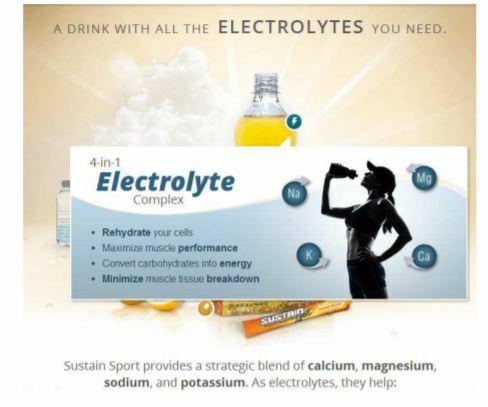 Electrolytes – ions of sodium, potassium, calcium, magnesium and others – generate electrical charges. From the firing of neurons in the brain to the coordination of muscles when you walk, your body runs on electricity. Every movement and every message you make depends upon electrolytes – and when you run low on them, your body ceases to function properly. Sodium is the electrolyte that makes your body salty – and if the blood’s sodium content is depleted by only 9%, you have entered a serious danger zone. No marathon runner, for instance, has ever died from lack of water – yet many have suffered coma, seizures and even fatalities from low sodium, a condition known as hyponatremia. Through sweat, urination and similar means, fluid is lost from the body, causing electrolytes to be flushed out with the liquid. If water alone is used to re-hydrate, the body’s store of electrolytes is diluted even further – just as pouring fresh water into a glass of salt water causes the solution to become less salty. 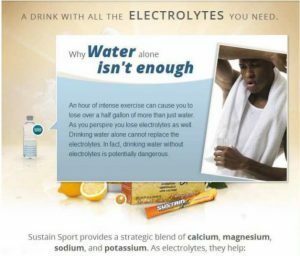 Since electrolytes monitor the transportation of fluid in and out of cells, the process goes haywire: the lack of sodium allows too much water to be taken inside the cell walls, bringing about rapid cellular swelling. For brain cells, especially, this can be a catastrophic event. Thankfully, most of us will never get so far off balance. But fear of hyponatremia is why those who are suffering from dehydration are instructed by the doctor to be sure to drink fluids that contain electrolytes. Therefore, Sustain™ Sport is a valuable addition to both the gym bag and the kitchen cabinet. Whether dehydration is brought on by illness, exercise, or hard work, Sustain™ Sport helps to quickly return the internal balance of minerals and water back to a safe level. Electrolytes aren’t all the body needs during strenuous activity, so Melaleuca’s scientists didn’t stop there. • Fructose-based carbohydrates for a steady supply of energy. Fructose gives honey its exquisite taste. That may be why the comment most heard about Sustain™ Sport is that it has just the right amount of sweetness. It isn’t syrupy like the other brands. Melaleuca’s Sustain™ Sport also costs up to 35% less per serving than Gatorade®, and since it allows you to use your own container, rather than forcing you to use a new plastic bottle for every serving, the potential environmental impact is also substantial. Compare the ingredients in Sustain™ Sport to the other major brands, factor in considerations about saving money and doing your part to help care for the environment, and you will witness a Melaleuca principle in action … exceptional products at reasonable price. Push yourself, but protect yourself. Exert yourself, but energise yourself. With 4 types of electrolytes, less sugar, fewer calories, and savings that affect both the wallet and the environment, Sustain™ Sport is not only the logical choice – it’s the one that works as hard as you do to make a difference that really counts. 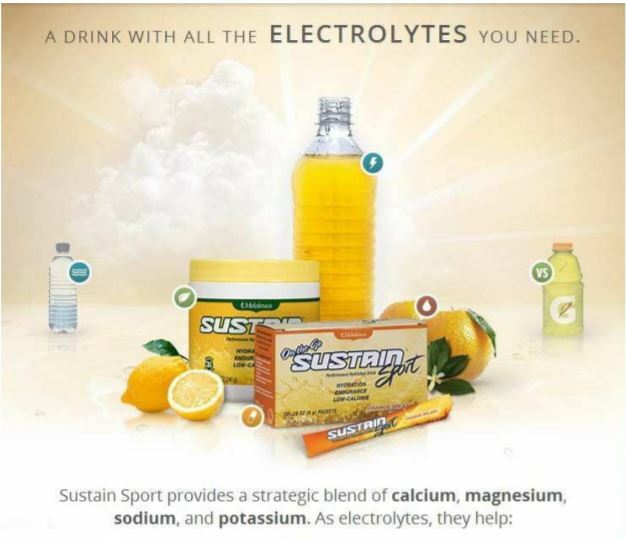 Get the electrolytes you need use Sustain. How can you make a career change painlessly! Direct selling can offer you the ability to choose when and how to work and its a great career that can be rewarding and fun. There are lots of ways to get started. First you have to have an idea of the line of Direct sales you want to follow. If you are interested in make up and skincare then there are lots of companies supplying products you may like. If you are interested in fitness and health then there are lots of companies who supply nutritional supplements such as protein shakes etc. Find a company with products you like and grow to love and you are half way there to a great career! I choose this range here because I loved the products and noticed marked differences in my health by taking them. You need to find a company that gives you similar results. 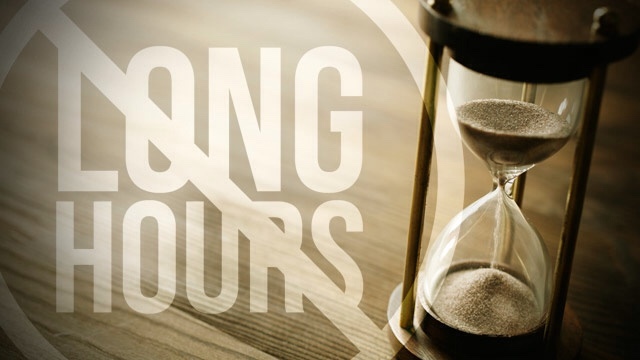 The choice of how many hours you actually put in is life changing for many people, especially in this time of job uncertainty. Plus you get to see a correlation between your effort and your earning potential. Nothing in this life that is worth achieving comes easily. Anyone that has achieved success in Direct Sales is quick to point out that that it took hard work to achieve their success and it didn’t happen overnight. If you are willing to be coach able and work hard there is no limit to the financial and personal rewards you can obtain and that great career will last a lifetime. I believe that this is the best industry in the world bar none! Think about I don’t ever have to worry about being laid off! Its been shown in studies that that sales in this industry remain steady in both good and bad times and its a solid way to earn discretionary cash or to drastically increase your net worth. 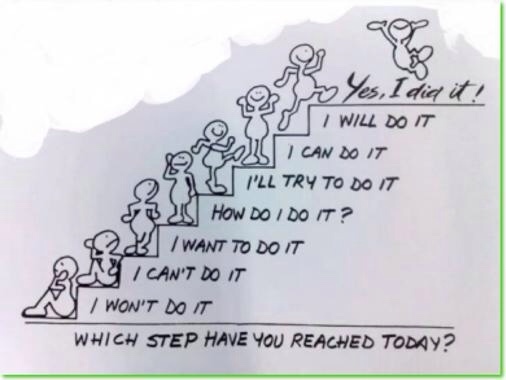 AND THE BEST PART IS YOU ARE HELPING OTHERS EVERY STEP OF THE WAY! The next thing to figure out where your passion lies. One of the most annoying things is spending lots of time writing your own content about a subject you want to help other people with, and you just must try to Improve SEO Search Engine Optimisation) to get ranked at all in the top 4 pages your topic covers, never mind get page 1 ranking ! First of all you need to let Google know you are a real person who is in control of a good informative website. The best (and easiest) way is to add yourself to the Google + network and then let Google know who has authority to post on your site. It is all about telling Google who the author on every post/page and who it is that created the content on your site. 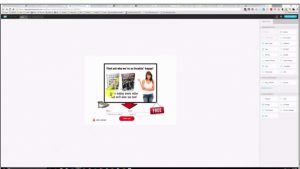 This is done by linking your content and your Google Plus profile together. Setting up your authorship gives you many benefits that will result in more traffic. If you have targeted your keyword with a program like Jaxxy will let you fight the good fight in your chosen search term topic. After all whats the point in targeting a term or keyword that has thousands or even millions of competitors. Pick your battles. 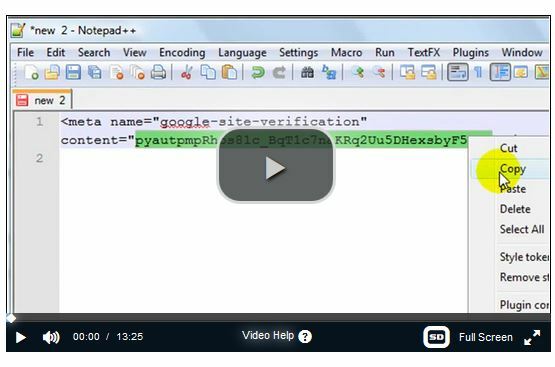 If you plan on ranking or even being indexed in Google’s search engine, it’s important that you verify your site with Google Webmaster tools This will allow you to give Google details about your site, submit sitemap and much more, at the same time this will allow Google to communicate back with you, perhaps pointing out errors, bad backlinks etc. This should result in better connection with Google and in turn more folks viewing your stuff! Make your content as readable as possible with no long sentences and check your grammar. All these count towards good ranking. Don’t make your post too long either around 350 words is best. Clear Concise and to the point. Browsers have the attention span of goldfish. Macbook Pro Retina Hard drive fail .. oops ! 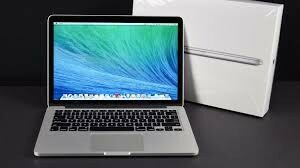 If you bought a Macbook Retina or the the new Macbook Air’s you should be extra careful with your backup routine as you are in big danger of losing all your files if your Macbook Hard Drive Fails. ive Fails are becoming a regular occurrence. The change to the slimmer SSD drive is a sign of the times! Consumers want a laptop that is slimmer, faster, lighter and all this with less noise and less heat generation. To cater for these desires computers many high end laptops (including the Macbook Pro ) are being fitted with SSD drives. Unlike previous internal hard drives the new thinner lighter SSD flash hard drives are almost impossible to recover data from if your Hard Drive goes kaput. Though it seems that it is a rare occurrence, my experience shows that these new drives do fail! With one such Macbook Hard drive fail on her 2 year old machine My daughter lost all her University final year drawings and course work when her hard drive failed. And (ok, that was her fault) there was no back up! 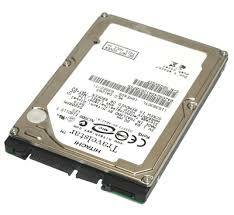 I was told it would be £750 to buy the broken hard drive! I thought OK I will get it looked at then take it back as broken. The Apple store “help” assistant said I would not be able to return it as it had already been designated “broken”! Catch 22 right enough! Be aware and back up regularly or use the on board Mac Time Machine to do it for you. That will work for you – unlike the geek squad at the Apple Store I visited.